Luxury at Affordable Prices, Please Phone for Last Minute Bookings. We offer Serviced Accommodation on a ’Room Only’ basis for Two People Sharing, this includes Free Parking. 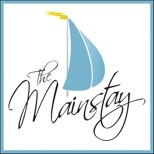 Please note that the ‘Guest Entrance’ to The Mainstay is via the Front Door, the Rear Entrance is No Longer Used for Guests’ and is now the Owners ‘Private’ Entrance. Unfortunately we will Not be able to Accommodate guests Prior to our Check in Time as Rooms may Not be Ready and if you Expect to Arrive Later, please Contact us to let us know your Estimated Time of Arrival. Please Vacate your Room and Parking Space anytime upto 10:30am. Minimum stay of 2 nights is required at Weekends and 3 to 4 nights on Bank Holidays, Festivals and Special Events, 1 night bookings maybe possible, please check our online diary for last minute availability. Bookings made via other sites maybe subject to Different Rates, Terms and Conditions, please Contact us Direct so we can advise you of our Best Rates, Rooms, Location and Parking. We respectfully Ask that guests Do Not bring Food or Takeaway Meals into the Guest Rooms. We are a None Smoking Establishment and Smoking or Vaping is Not Permitted anywhere within the House, Porch or On The Front Garden Terraces. Your Safety is our Priority The Mainstay has a Fire Certificate, Fire Alarms throughout the building, Extinguishers, Smoke Detectors and Emergency Lighting are on every floor level and in an event of emergency customers will be able to leave the building via the front door without the need of using keys.